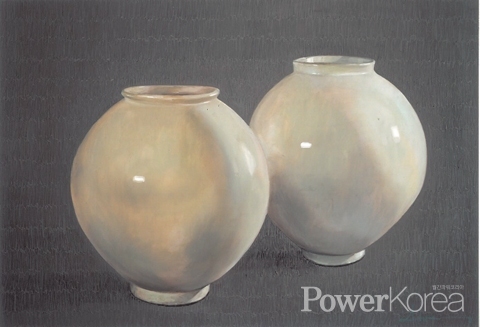 Art historian Choi Soon-woo (deceased) once praised about white porcelain moon jars “One cannot say to have mastered the essence of Korean beauty without knowing the world of white light and indeterminate form of circle.” What would feel like to see these white porcelain moon jars on the canvas? <Power Korea> looked into the works of artist Sohn Jung-sook. The flowers in her works attract the eyes of viewers to the center composition-wise and the white and the background purplish color create harmony and grace; the flower basket, on the other hand, creates a vintage feel that might have been a trend in the late Joseon period. Recently, she fell in love with moon jars. In her two exhibitions themed on moon jars, she named the works moonlight sonata, imagery of heart, cheongdam, freedom, time and communion. The occasion Sohn started to paint moon jars is this: One day, the Gowolhun Gallery curator Kim Tae-hyung happened to visit Sohn’s solo exhibition and got surprised by the jar with gypsophila on canvas. Kim asked Sohn to be an in-house artist of Gowolhun Gallery specialized in moon jars. Moon jars are a good example of Korean sentiment and beauty and many of them have indeterminate shapes depending on the creator. Some say they are sophisticated and others say they are oriental. Sohn got hold of valuable data about moon jars, studied thoroughly and made them reborn onto the canvas. Sohn has been invited to Gallery Dooin in 2000, Ami Gallery in 2006, Mayjune Gallery in 2009 and Art Seoul from 2003 and 2011. 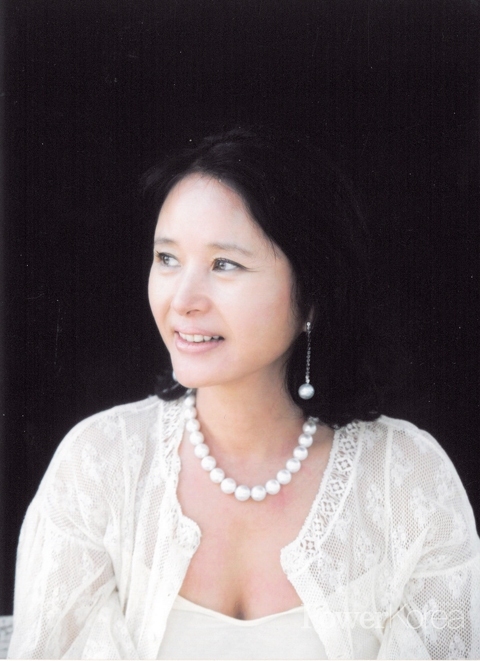 She also joined group exhibitions in LA, US, in 1996, Korea-China-Japan Exchange Exhibition in 1998, 100 Exhibition in Sydney, Australia, in 2005, LA Art Show Convention Center in 2011, and LA Western Gallery. The gypsophila works were sold out in almost all exhibitions she joined and 15 works of moon jars including 3 large works were displayed at an exhibition in Insa-dong in May; the works attracted a great attention at the Art Figuratif at Hangaram Arts Center Museum in October. The coming exhibition is scheduled at Gowolhun Gallery in April 2019. In this respect, Sohn expresses well about the characteristics of Korean moon jars: solidity, purity, light and restrained.